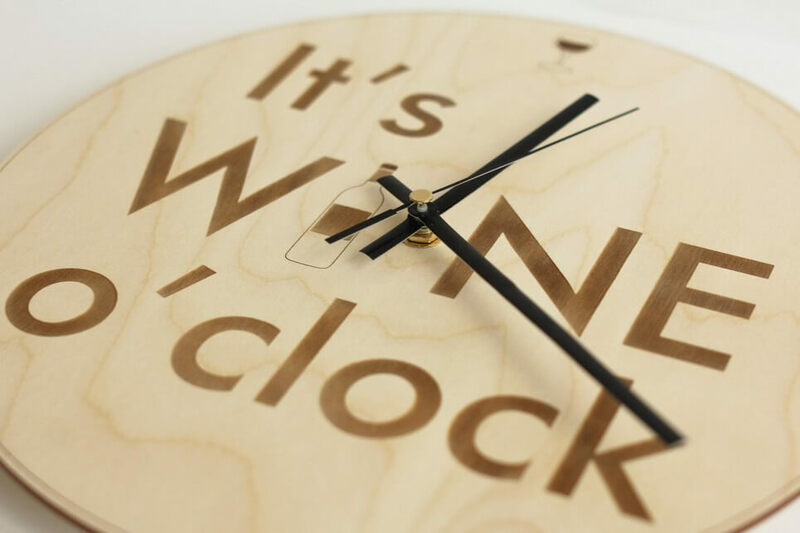 Looking to make a statement or fill the space, the It’s Wine O’clock – Wooden Wall Clock will catch anyone’s eye. 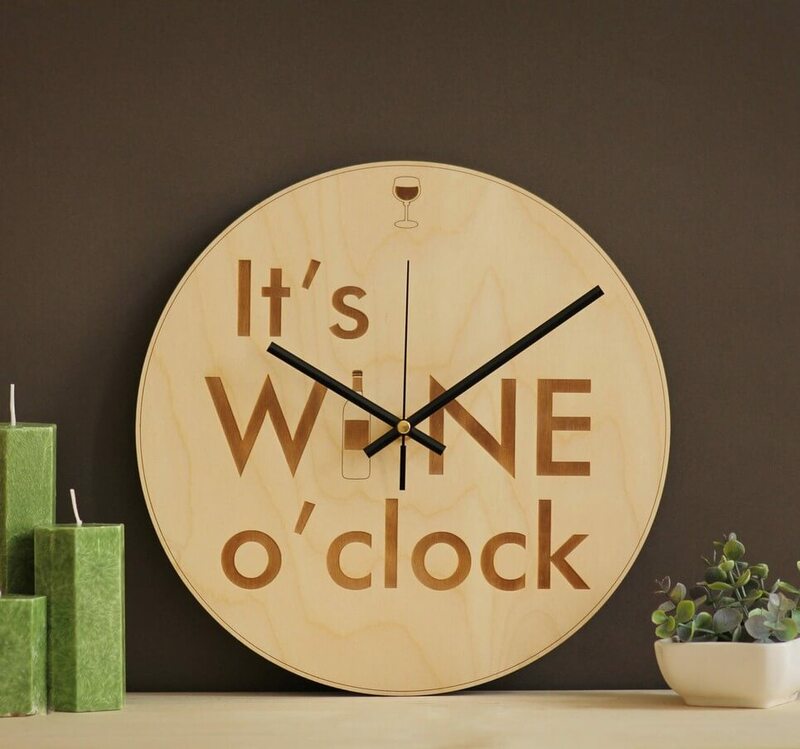 This decorative wall clock has the power to express your style while showing precise time every day. It looks great everywhere, from cozy tiny houses in mountains to modern looking apartments in cities and fashionable homes. 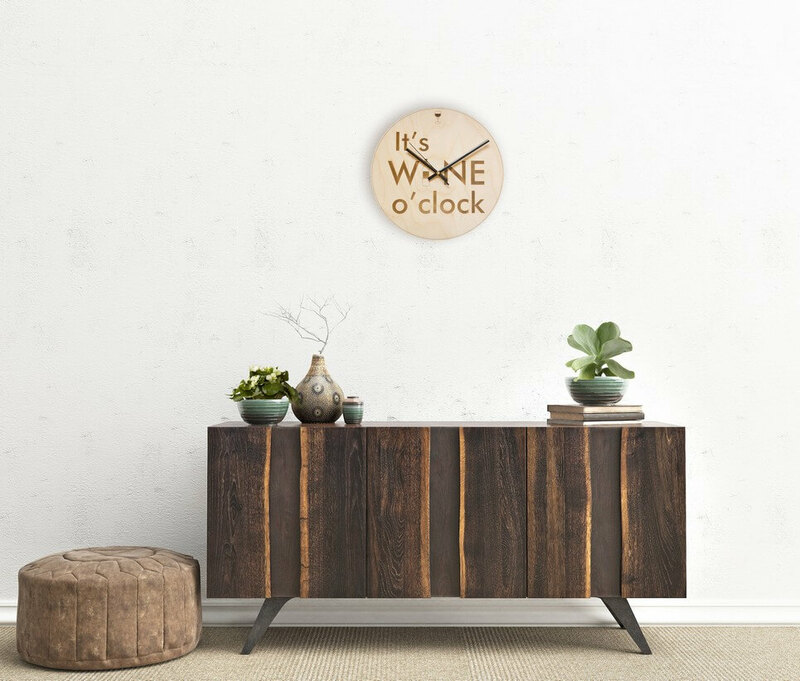 Made from wood, this unusual wall clock runs on AA battery (not included) and is great for hanging on the wall of your kitchen, living room or office, making this gorgeous clock a really unique accessory for your home. It would be a perfect wedding gift or great as a leaving gift for someone retiring. 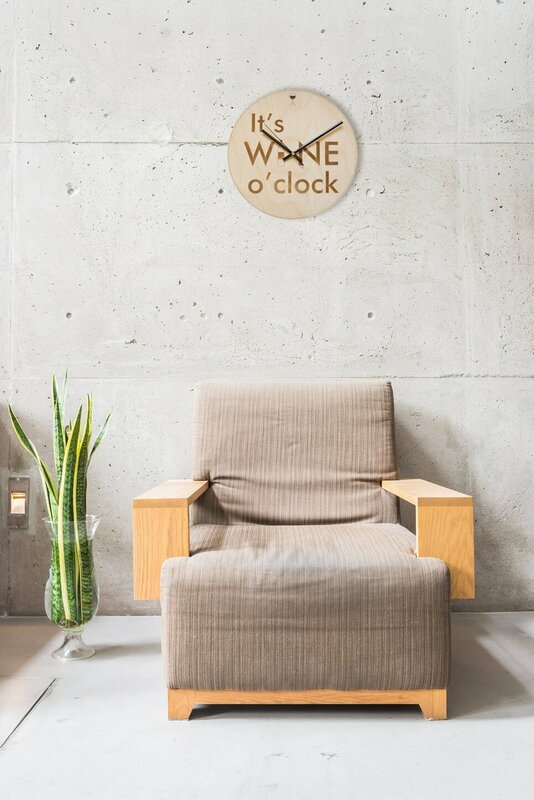 Simple, elegant and clean with a modern design, this wooden wall clock will sit neatly on any wall in any room whether your theme is contemporary or traditional. 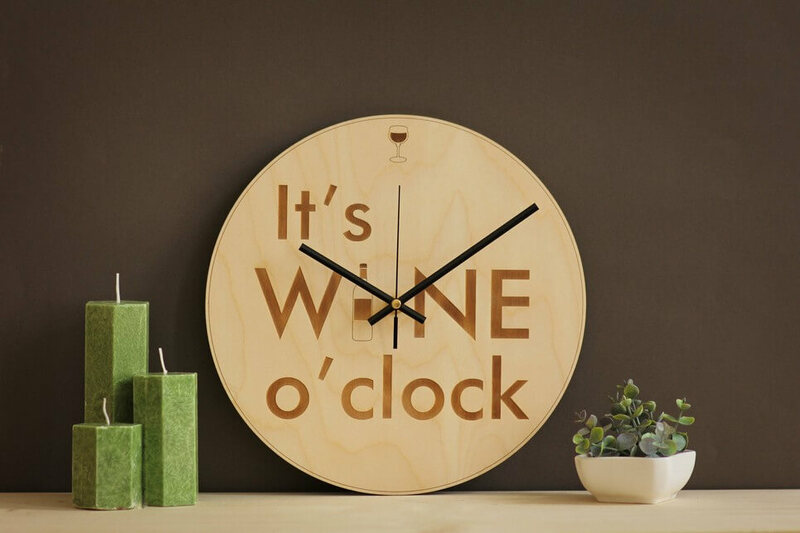 It would make a good gift for housewarming, birthday or special occasion. This is a little special and different and bound to be well received. 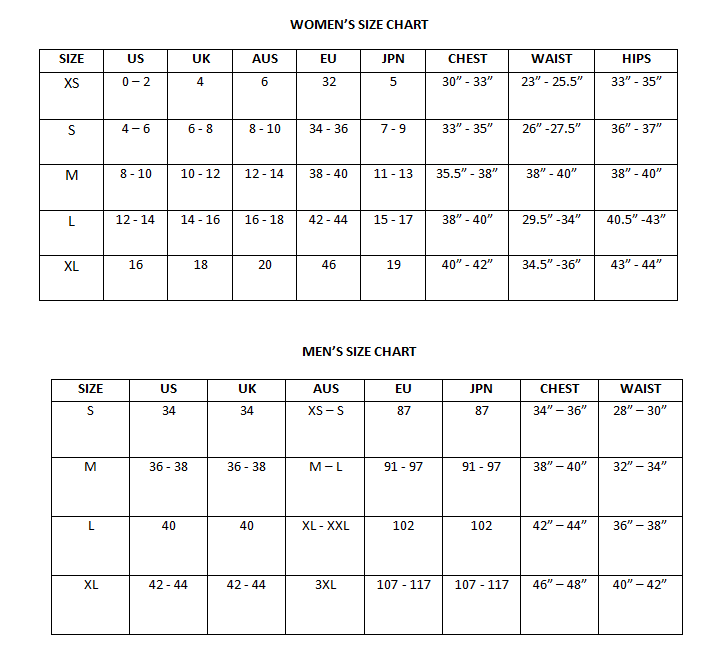 Please note that this is a unique hand-made item. 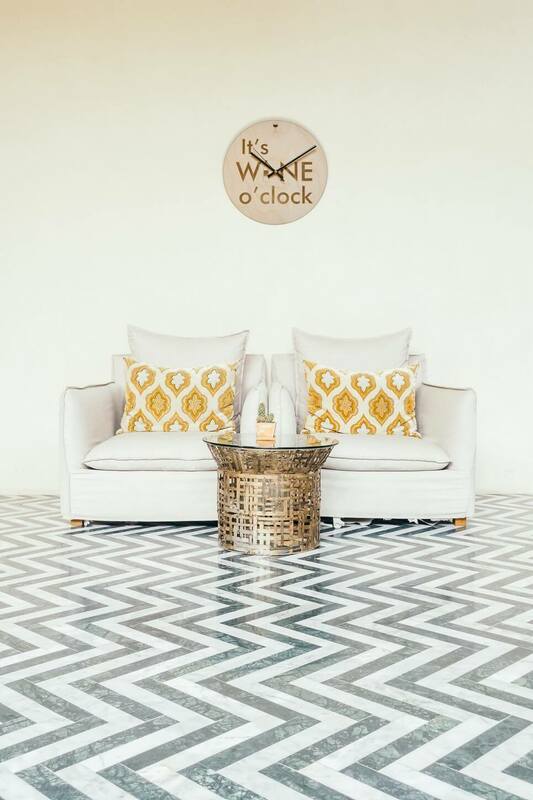 Variation from piece to piece is expected – this may include, but not limited to, the grain and color of the wood, the positioning of the lettering. Engraving text and the color of graphics may vary due to natural features of the wood and the variable nature of natural materials.